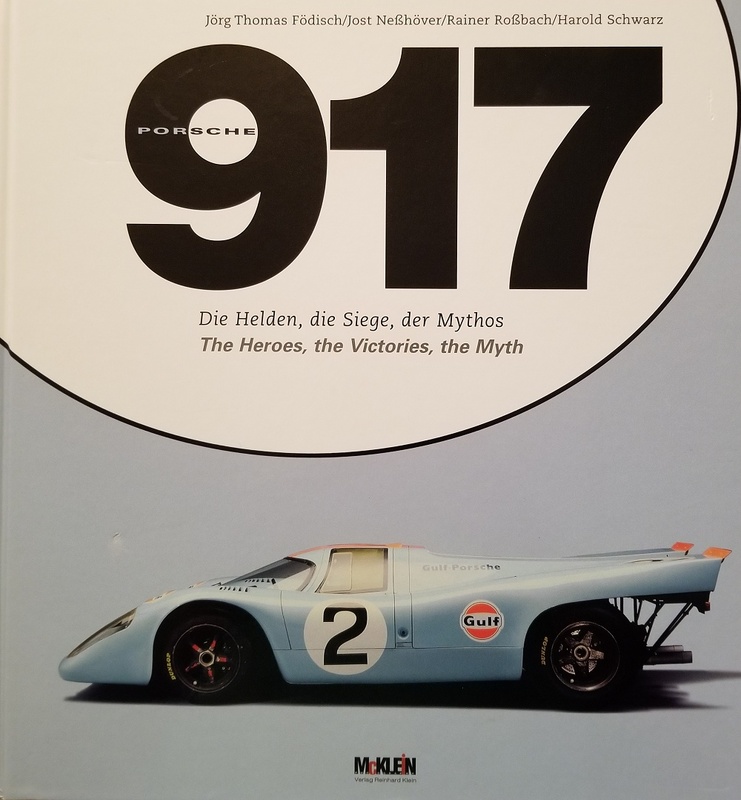 SOLD This large format, 13"x12" 230 plus page book is perhaps the definitive history of the legendary Porsche 917 from its birth to the 1200HP twin turbo monster that it became. The copy offered here is new and signed by the original test driver, Porsche Factory driver and Championship winning JWE driver, Brian Redman. This is the complete story of the Porsche 917, the racing car with which Porsche finally claimed its long sought goal – outright victory at the Le Mans 24 Hour race. What followed that win and the 917's victories in the World Championship was another unique success story. The 917 had a second life as the world's fastest vehicle for turbocharger development in sports cars. Thus for half a decade, the 917 was THE car to beat in international sports car racing. Today, motor sport fans regard it as a legend and an icon for a whole generation of powerful racing cars. And even today, the 917 stars in historic motor sport events.